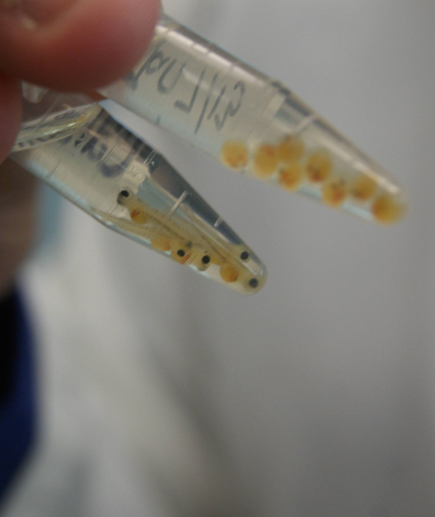 My research focuses on the evolution and function of cytochrome P450 enzymes and the effects of environmental contaminants on aquatic species. My research intersects environmental physiology, ecology and evolution, and bioinformatics and functional genomics. I’m not sure that November and December on Lake Huron can be considered a good time to go fishing but that is when we head out for whitefish. This past weekend, weather conditions were finally good enough for gill netting but good conditions they weren’t. With the boat rocking and rolling, we were able to collect only a few ripe male and females to provide 50 000 embryos for the year’s experiments. While this may seem like a lot, last year we had 2 great days on the water giving us 250 000 embryos for the project. Still, I am rather relieved we got anything at all this year. With very consistent high winds and high waves, we really haven’t had safe conditions to fish and I was fearing there would be no Lake Whitefish this year. Sadly, there were no round whitefish collected this year in Lake Huron and we have hit the end of good weather and spawning season for that species. Our last hope for round whitefish are from Lake Ontario, where spawning continues much later. Here is hoping that their run has just started and that weather conditions on the lake are as good as can be expected as late fall/early winter allows. In the meantime, here are a few photos of us and our fish! 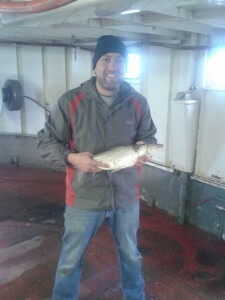 John Eme and our favourite fish, the Lake Whitefish. 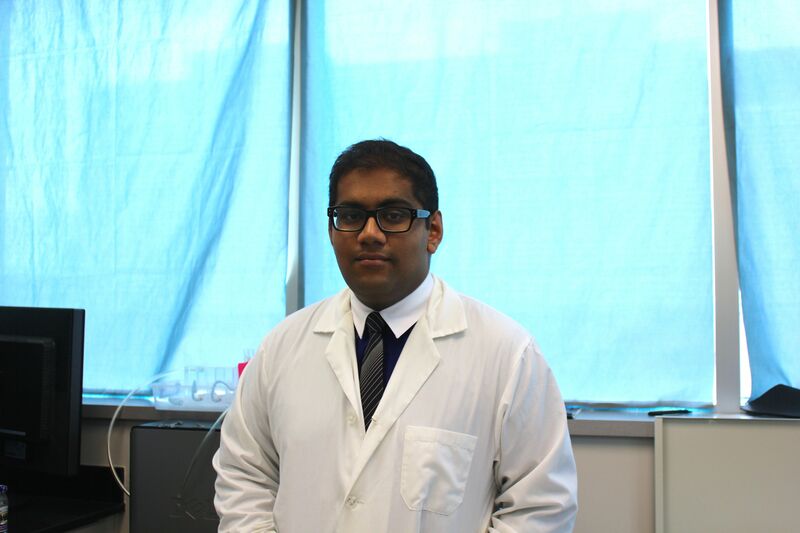 “I am entering my fourth year in the Honours Biology (Physiology Specialization) program and will be completing my undergraduate thesis in the lab. I have worked with Lake Whitefish, understanding the development and embryology of this species as well as studying the effects of environmental stressors from industrial processes on developmental physiology. 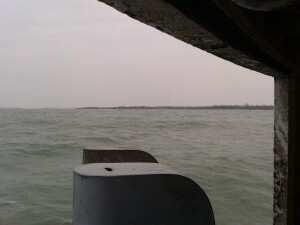 I am also interested in understanding the effects of ionizing radiation and exposure of morpholine, a chemical present in effluents, on Great Lake fish species. I will be using a fish cell line to study effects at a cellular level as well as lake whitefish embryos for whole organism effects. My end points of interest include survival and growth, embryo morphology, the occurrence of apoptosis and chromosome damage. While I tweeted this on the day of the grand event, I have yet to blog about the most recent graduate from the Wilson Tox Lab, Eugene Choi. 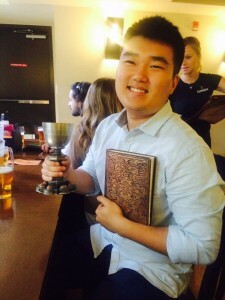 Eugene successfully defended his MSc degree at the end of September. His research was focused on rainbow trout and the effects of acetaminophen, a common pain reliever that is used extensively by humans and released into surface waters through waste water effluent. All drugs we consume leave our body through urine and feces; they are flushed down the toilet and join our waste water stream. For fish living downstream of treatment plants, this means they are often exposed to low levels of complex drug mixtures containing our most commonly used drugs. Prior work in the lab by Mike Galus had shown that acetaminophen causes histological changes in the kidneys of zebrafish and Eugene determined that similar effects were seen in trout. Eugene discovered this during his undergraduate thesis and stayed in the Wilson Tox Lab to determine if the impacted organs in trout functioned properly. Eugene’s research is a great mix of physiology and histology. He has examined impacts of acetaminophen on liver, gill and kidney and his research demonstrates that organ function is impaired in fish with acetaminophen exposures. Fish take up less oxygen in through their gills when swimming and gills show swelling in the filaments and lamellae, increasing the diffusion distance for oxygen. Exposed fish are losing important ions, glucose and protein in their urine and this is coupled with cellular changes in the kidney tubules. Important data for us when we consider the environmental effects of pharmaceuticals in our surface waters. This week is McMaster’s first Water Week, a week celebrating the and connecting the links between water science, technology and policy to deliver local and global impacts. This is the signature event kicking off the new McMaster Water Network. This network will be a platform for water science, engineering and policy across our faculties. So far, this week has been a resounding success with documentary screenings, public lectures, and workshops. Yesterday was the Student research poster showcase. Over 60 undergraduate and graduate students presented their research and ideas all around water. I was amazed at the turnout, both in terms of student involvement, and people at the poster session. It bodes very well for the Water Network and really showed the extent of water research ongoing at McMaster! 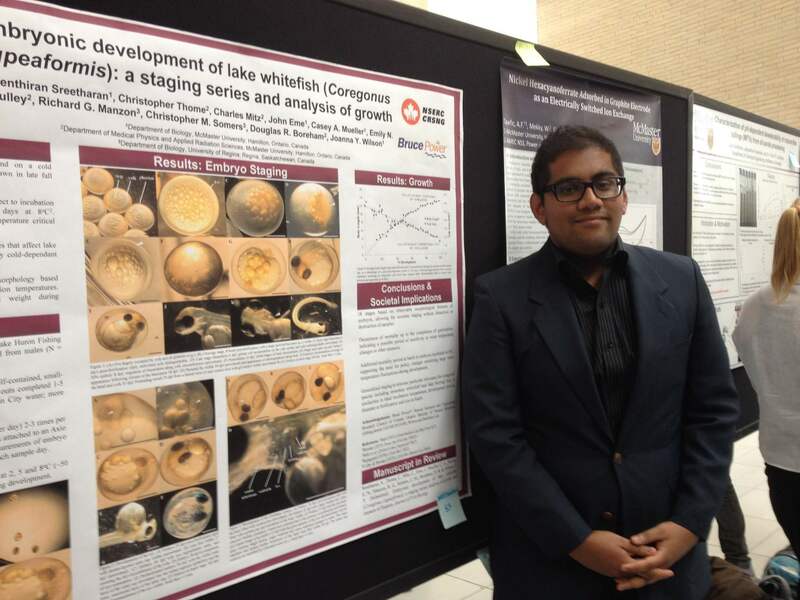 Undergraduate thesis student Shayen Sreetharan has been working in the Wilson lab over the last year. He was a summer researcher and has been focused on lake whitefish, a species we are increasingly using to study the effects of chemical, thermal, and radiological stress. 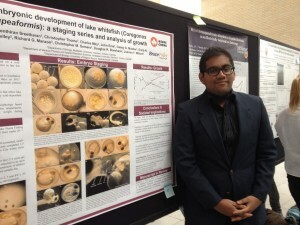 In his project over the last year, Shayen did a wonderful job of developing a staging series for lake whitefish and identifying their growth (weight and morphology) throughout development. His work has been recently submitted for publication – an amazing feat for a 3rd year undergraduate. Shayen presented his whitefish staging series and growth data as part of the Student Research Showcase. Shayen won the Philomathia Water Prize in the undergraduate competition. Congratulations on your success! 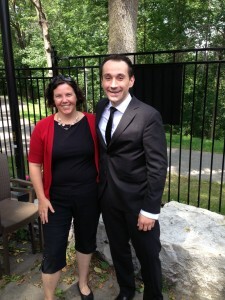 Michal Galus has been a graduate student in my lab for the last 5 years, working on his PhD. He completed his BSc degree at McMaster in Biology and got his first taste of toxicology in the lab of Dr. Grant McClelland working on metal toxicology in zebrafish. 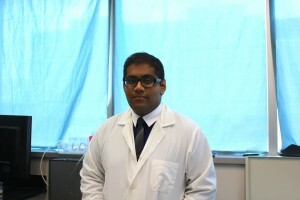 He entered my to start his MSc and helped launch a new research program; the impacts of human pharmaceuticals on fish. Much of Michal’s research has focused on four drug; acetaminophen (common analgesic), carbamazepine (anti-epileptic and mood stabilizer), gemfibrozil (lipid regulator), and venlafaxine (anti-depressant). The research started with one question in mind: Do low concentrations of human drugs cause negative effects in fish? in the wild, human drugs are entering the aquatic environment through our waste water treatment plant discharge. Contrary to what many might think, the direct use and excretion of drugs and their metabolites into sewage, is the major source. These compounds are emerging as contaminants of concern because studies, like those that Michal has completed during his PhD, are showing that chronic exposure to low concentrations decrease reproduction, disrupt normal development, and cause cellular changes in major organs such as the kidneys. Michal successfully defended his PhD on August 29 and is now completing final edits on his dissertation. Congratulations Mike on a job well done!